How have I never heard of Maisons Du Monde before?! Ok, so this is how you know this blog is legit. 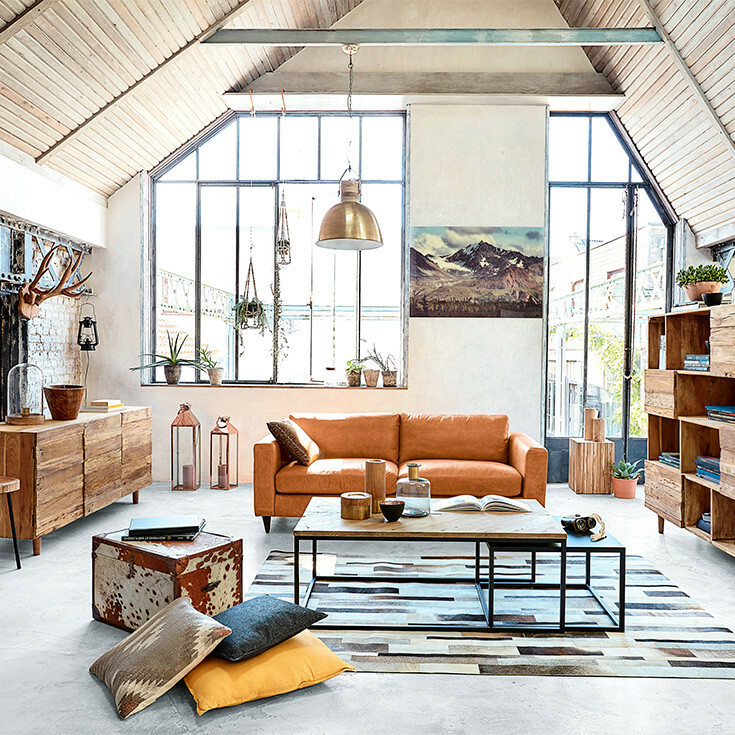 Literally two days ago I’m raving over H&M Home (which still stands – it is a great place) but I have just seen an advert on TV for Maisons Du Monde, which was so cool, I immediately had to check out the website – their advertiser should get a raise. 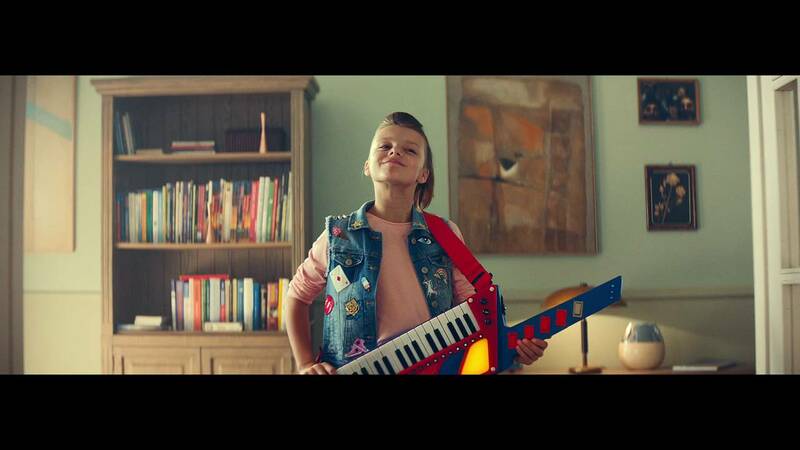 Reminds me of the awesome times me and my sister had rocking out with our parents’ badminton rackets. Yep – you know what I mean. Anyway – sorry – I turns out I am seriously behind with the times! I honestly don’t know how I haven’t been obsessed with these guys forever! 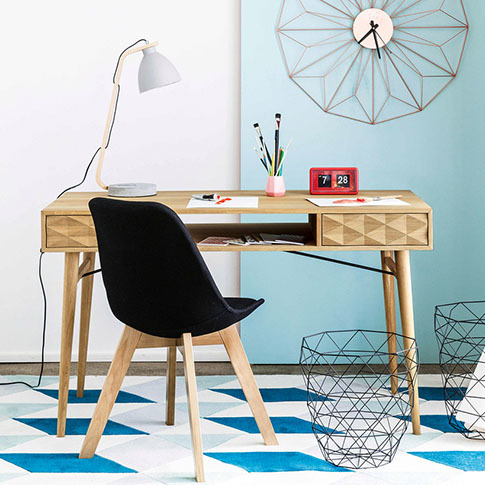 They (obviously) are a French company and they use their impeccable taste to stock an amazing mix of country, retro, industrial, ethnic, modern, traditional, practical, frivolous, colourful, and natural furniture and homewares. I basically want to buy their entire website. It is full of such pretty, reasonably priced, extremely cool stuff and some gorgeous photography too! French farmhouse with a twist. Pretty pastel palette. This is an image from their seaside story, ‘Escale’, which of course, based on the blue tones, I love! With a view like this a) no one is looking at the furniture, but if they were, they’d be impressed and b) I would never go indoors. I love this exotic monochrome scheme. The mix of textures, tones and patterns makes it an absolute winner. Those chairs! I love the mix of black with the pale wood too. 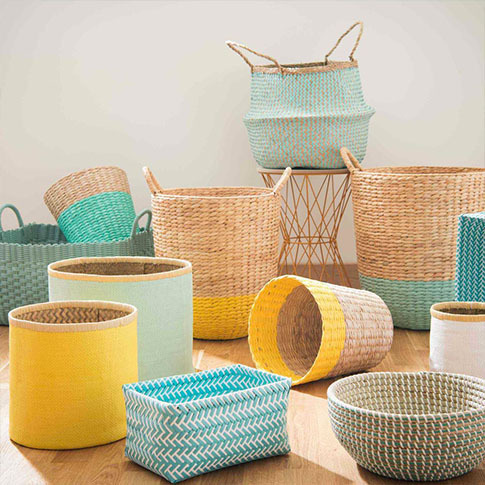 This rattan furniture is just lovely! 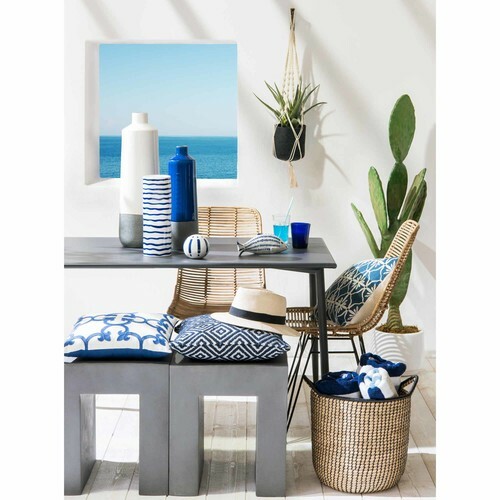 So Summery in this image but could easily be cosied up for colder winter evenings (another good excuse to buy a blanket)! I adore that mint green sideboard too! I swear, I would get so much more work done if I had a desk that looked like this. Geometric wonderland! Marrakesh dreaming! You’d wake up feeling like you were on a permanent holiday in this bedroom! Such gorgeous furniture (although obviously based on the detail it is on the pricey side). Industrial style at it’s best. I love the mix of leathers, wood, concrete, yellow and blue. Quite masculine but still warm and homely. ARGH LOOK AT ALL THESE BASKETS!! What’s your favourite style? With so much to choose from, I think I’d need to have a handful of houses to cater for everything I want! 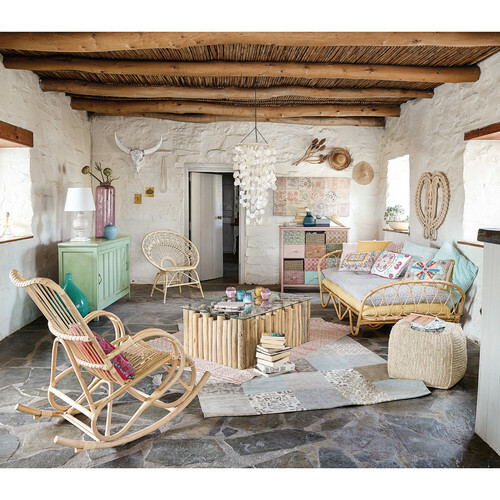 This entry was posted in Inspiration and tagged coastal, farmhouse chic, French, furniture, geometric, homewares, industrial, Inspiration, interior design, interior trends, interiors, Maison Du Monde, monochrome, pastels, rattan, Spring. Bookmark the permalink.